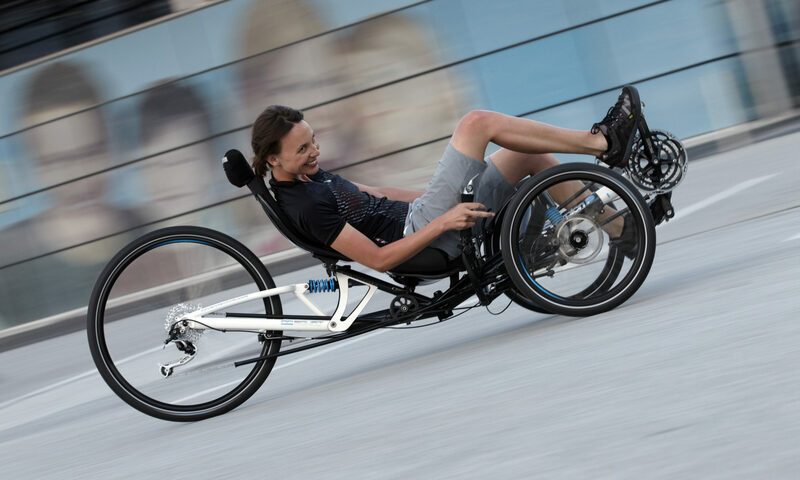 Gavin’s Racerunner was built from thin-wall Columbus Gara tubing, for a frame weight of around 4kg, and a total built-up weight of under 10kg. The frame was built on a custom jig to be perfectly straight, and has adjustable fore and aft positioning of the saddle, and adjustable chest plate using a seatpost. A series of axle inserts allow different wheels to be used, and the camber can also be adjusted. Cost was £1500 for the frame, inserts, painting and assembly.